Welcome to our centric & familiar t Hotel in Calella! 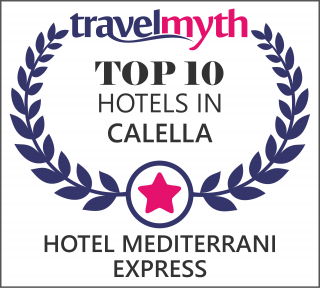 Enjoy your Holidays at the HOTEL MEDITERRANI EXPRESS in Calella (Barcelona - Maresme Coast). Family Hotel located in the centre of Calella, only 200 metres away from the beach and good connection to Barcelona city. The services of our hotel in Calella offer you a swimming pool, , free wi-fi access in the entire hotel and the possibility of Parking, previous reservation.